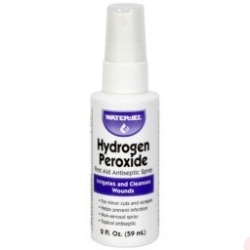 Hydrogen Peroxide is a mild antiseptic used in minor wounds and burns, used to prevent infections. 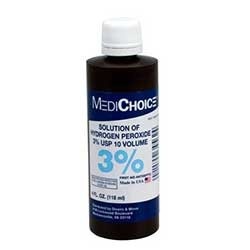 In Wholesale- Direct, we carry 4 ounce, 8 ounce, 16 ounce, and Hydrogen Peroxide pump spray. Use also as a mouth rinse to mitigate ulcers, cold sores and gingivitis. Hydrogen Peroxide There are 6 products. Hydrogen peroxide pump spray, 4 oz. plastic bottle Case of 12 @ $3.60 ea. 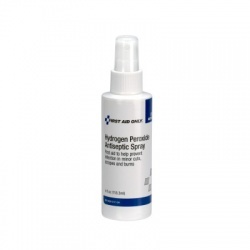 Hydrogen peroxide pump spray, 4 oz. plastic bottle Case of 12 @ $3.60 ea. Hydrogen Peroxide Spray, bottle, 2oz. Hydrogen Peroxide Spray, bottle, 2oz. Hydrogen peroxide, 3% 8 oz. plastic bottle, 1 ea. Hydrogen peroxide, 3% 8 oz. plastic bottle, 1 ea.